I was told today that a book I’m currently championing is written in a commercial style (i.e. language) but has a literary content. When I asked what was meant, I was told that, for this book to be commercial, the protagonist should be female and there should be ‘some bosom heaving’. In regard to the author I’m championing (as yet unpublished) I think it is vitally necessary that publishers allow for hybrids. Otherwise they, rather like TV companies, are guilty of continually dishing up the same, and to a formula. So, I’ve made myself sleepless tonight trying to attempt that definition. It is true that commercial fiction is more plot-driven than literary fiction. I think literary fiction suffers from the post-Jamesian idea that ‘character is plot’. Shakespeare would have said that character without plot is a body without a skeleton, but then, bless him, he was a commercial writer. (The sales of Venus and Adonis made him the richest writer ever to have lived before JK Rowling – no bosom heaving there, but much about female lust). It is also true that the characters in commercial fiction tend to be two-dimensional, bound into their archetypes and predictable. Dickens would say, ‘so what?’, but then he was a very commercial writer. Commercial novels do tend to have a romantic or sexual element (i.e. hot pages, which I confess to finding gripping, though I never write them myself and am glad that it is no longer true that a bodice must be ripped in every book). Jane Austen and Charlotte Bronte wrote in this genre. You can see where I’m going, can’t you? Most of our literary giants were commercial writers in their time. Who are the exceptions? James Joyce, Virginia Woolf and Joseph Conrad spring to mind: great writers of difficult reads. It’s too late in the night to go off and do some research to check my facts, but anyone interested in this subject is advised to consult Arthur Quiller-Couch’s ‘The Art of Reading’. Quiller-Couch was an Edwardian critic, the last of his kind to speak out for truth and beauty. He was supplanted at Cambridge by F R Leavis, who introduced the idea of taking literature seriously. Seriously – key word, that. An important distinction between Quiller-Couch and Leavis is that the former wrote novels himself. Leavis only wrote criticism. I’m not saying that Leavis was an evil demon, only that he was responsible for much that followed, and the situation in Eng Lit today is such that I strongly advise any would-be writer not to study it at university. I suspect that the division between literary and commercial is datable to the mid-twentieth century and the ideas of Leavis and his contemporaries. That is, it comes after James, Joyce, Woolf and Lawrence. Before Leavis there was simply a spectrum catering to all tastes, and not the dreadfully snobbish – however morally correct – division that now holds. Personally I would love to see a fusion of genres, to have a book which is well-plotted, a gripping read, with great character development and a theme addressing moral questions of our time. Why not? Instead I seem to be faced with a choice of the literary equivalent of a cheap box of chocolates (made with saccharine) and a healthy raw salad. What I crave is a roast dinner. Has any modern novel satisfied me? Yes. Louis de Berniere’s Captain Corelli’s Mandolin. Some found it insufferably tedious in its first hundred pages (before the romance kicks in), others ludicrously romantic (after the first hundred pages). I found it had a greatness to it that I hadn’t experienced before in contemporary literature, and was not surprised when watching a TV film about its success to find that its admirers encompassed the whole spectrum of British society, from workers to royalty. What was its secret? The author loved his characters, wrote beautifully, did terrific research and felt passionately about war, about Greece, about the people of Cephalonia and their sufferings. In short, heart and mind were in balance. Poor de Berniere suffered, of course, from popularity. You don’t hear much of him these days. And he never won the Booker Prize. So let’s do for the English novel what Jamie, Hugh and Gordon are doing for English cooking: simplicity mixed with innovation, better ingredients, more passion. Healthy, organic food with incredible flavour. I could go on, and mention the division between ‘serious’ and ‘popular’ that’s infected all branches of the arts, but it is now four in the morning. I have been teaching creative writing for a long time, perhaps twelve years, but yesterday's tutorial with one of my American students (in fact, all my students are Americans, on programmes at Oxford University) was the best yet. She was finding it difficult to express what her novel is about; she didn't really know herself. I sat like a TV psychiatrist and probed with questions until we got to the nub of the matter: why she wanted to write it. It involved a confession on her part to past misdemeanours. What she wants to do is to educate people and better inform their opinions about certain things. She is angry, with herself and with the world. Now, as she spoke, I felt her words in the solar plexus. It was so strong a sensation that I asked her what part of her anatomy she was speaking from. Not surprisingly, it was the same, the solar plexus. Her instruction for the week is to write from there, to feel as she writes. It doesn't matter if it is crude, malformed and unliterary. Just get it out. We can talk about style, word-choice, sentence variety, the use of the semi-colon, and it matters not a jot if the content is no good. What makes content good is the passion of the writer and the truth of what is said. We need to give birth to our writing, to scream and thrash, to howl in anguish. And when it comes, it is bloody and covered with mucus and placenta. That's content. I'm tempted to say that style is washing the babe and clothing it, but in fact I think it's in its genes and will leave that discussion for another day. According to Hindu beliefs, the solar plexus chakra is "the center of etheric-psychic intuition: a vague or non-specific, sensual sense of knowing; a vague sense of size, shape, and intent of being." As such, some psychics recommend "listening" to it since it may help out in making better decisions in one's life on many different levels. In my study of Sidney, such as it has been, I can see that when he wrote Astrophil and Stella, when, in fact, he wrote this first sonnet in the sequence, he had changed as a writer. As he says himself, he stopped looking for words, inspiration and a model in other writers, stopped valuing study above direct contact with nature, and begin to write from the heart. I can only wonder if by 'heart' he meant 'solar plexus'. David and I have been enjoying a joust-by-email with friend Jonathan over the past fews days, inspired by Jonathan's provocative statement that novels are 'not improving' and, therefore, not worth reading. Once the dust had settled, we saw that we all believed the same thing, that very many modern novels are not worth reading. It is not enough to create a plot and some characters, to write even a gripping story beautifully. Not enough. What the reader needs is to feel the writer's passion, about some aspect of being human. When we read a good novel, when we feel improved by what we have read, it's as if a hand has reached in and squeezed that organ behind the abdomen, the solar plexus. Did I say 'The End'? Silly me. The typesetter is off on holiday until 2nd February we discovered today, when we phoned in a flap to find out why she hadn't sent the files for the cover to the printers. That's it, then. No hope of the promised January publication, but still a chance for my favoured date of February 14th - very appropriate for Venus. Had to admit mother to the John Radcliffe Hospital again yesterday. Having learnt lessons previously, I took a flask of hot drink and a good book. There I was, deep in Sidney's Astrophil and Stella, when a young Korean woman came to fill in a form. Having established name and address (already taken in the ambulance), she asked, 'Do you consider yourself White British?' Before Mum could say 'Eh? ', even before an expletive of surprise issued from my lips, she followed with 'Church of England?' and checked the box. We had about an hour to ruminate on the significance of our colour and theological inclinations before the doctor came. Today we sent off the printing files to SRP in Exeter. It's all up to them now, to turn what I've written into a tangible book. How do I feel? Free! I'm so thoroughly engaged by my new project that, in the end, the trilogy became something of a distraction. But anyway, today's the day that the long, awful process of bringing it to completion finally ended. And what do I see as I look out of the window? Why, floods! The water isn't quite as high as it was in the summer, but the meadow is a lake and the water's still rising. We're back on high alert. I over-reacted in July; perhaps now I am too complacent - we went to bed last night leaving the new TV where it is. It's very hard to gauge the right mental response. I think this time I shall trust to instinct more than to dire warnings from governmental agencies. But the pop-sock sandbags are poised, and we have stocked up on water and cereal bars. Yesterday we went out and bought proper wellington boots so at least I can get to the allotment and rescue the leeks from the sucking mire. 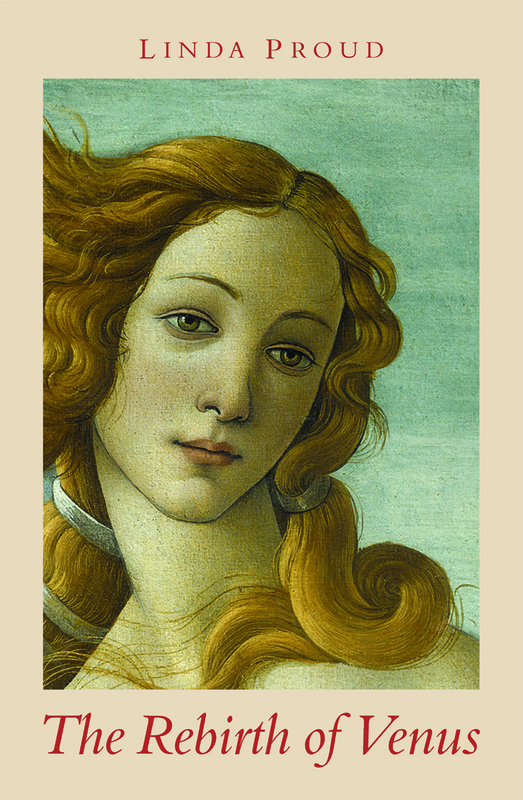 I've just finished checking the fourth set of page proofs for The Rebirth of Venus. Fortunately my typesetter is long-suffering and doesn't mind my hopeless quest for perfection. Between us, we've just cured all the hyphenations, and naturally I've taken the opportunity to tweak a little here and there. But it really does feel like dusting a finished statue now. The cover was just as difficult to finalise as the book. I had nothing in mind before we started playing with colours. Naturally the image had to be from Botticelli's The Birth of Venus. I wish it didn't -- it's so hackneyed. But David in his brilliance thought of flipping it and focussing on the head. Now the image is both familiar and strange all at once, and different qualities emerge in the goddess, more introverted and soulful. As for the colours, we gave ourselves headaches with the pantone palette. I tried lots of different backgrounds but only two created that sense of inner affirmation which says, 'That's it!' One was pink, and I feared it would put men off from reading it in public. The other was laid-back, elegant cream. It seemed right but it didn't seem perfect, not until we arrived at deep cherry for the type. Then, in a moment of illumination, I took up a copy of A Tabernacle for the Sun and realised it was the same colour-combination, only reversed. Then it seemed perfect. I had an email from Lindsay Clarke today. The novel he's working on has been even longer in gestation (twelve years) and he's finding it just as hard to get it finished. Perhaps our mutual difficulty is in the stars -- I'd like to think so. 2008 -- the year of elephantine births. Meanwhile I learn that poor Tewekesbury is putting out the sandbags again. Our watermeadow is flooded but that is normal for this time of year. But if Gloucestershire floods again, so will Oxford in all likelihood. And despite numerous community meetings, we're still unprepared. All talk, no action. Since writing about semi-colons last month, I've read an extract from a book published in Quest, the journal of the Queen's English Society, no less, which to my astonishment spoke out for the extinction of this species of punctuation. To quote: 'Semicolons are pretentious and overactive.' Hmmm - 'semi-colons' should be hyphenated, you know. 'These days one seems to come across them in every other sentence.' Oh yeah? Not if you read Philippa Gregory. 'If the undergraduate essays I see are representative, we are in the midst of an epidemic of semicolons.' I haven't had one undergraduate who hasn't had to be reminded what a semi-colon is and encouraged to use it. 'I recognise that my reaction is extreme. But the semicolon has become so hateful to me that I feel almost morally compromised when I use it.' What guff! Here is a 'sentence' from Philippa Gregory's The Queen's Fool. 'I tried to fight it off, this court would be the worst place in the world to tell the truth.' That's only one of very many examples from this book of separate sentences joined by commas. In one there were about three sentences: I wish I had noted it down but I didn't. This line I've quoted is, of course, two sentences, and is exactly the right occasion for the use of a semi-colon. It's a good book and I enjoyed it, but my enjoyment was ruined by having to re-read so many sentences badly punctuated. Of course, my eye was keen for semi-colons and I came across about three; on each occasion it was wrongly used and should have been a comma. As John Gardner says in The Art of Fiction, we must never disturb the fictional dream. Because of the lack of stops or semi-colons, I could never fully enter her dream. Other reviewers say the same, that the story stretches credibility, never completely grips, etc. Could it be merely because of punctuation? It's possible. What a salutary lesson.